There was some element of historical truth in the advert as there had been few revolutions and local wars from the very early days where one or more Frontiersmen had either been involved or at least an interested spectator. We will be centring this topic on one of the most puzzling of Frontiersmen adventurers who, in later life became steadily more secretive and reticent than when he was a young adventurer. This desire to escape publicity followed his most famous (or infamous) adventure and one that brought much criticism on his head, although he always maintained that what he did was for the right reasons. In spite of that warning we have discovered much – although far from all – about a remarkable Frontiersman. Because of his importance to history as well as the Legion of Frontiersmen, this particular Topic will of necessity be longer than most. He was born in January 1888, the son of an eminent physician, Joseph Pollard. At the age of nine he was sent to Westminster School in London, but seems to have lived most of his free time on his grandfather’s farm and estate in Hertfordshire. There he learned to shoot and soon became an expert shot with a great interest in firearms of all types and in country sports and pursuits. This interest and skill was to stay with him for the rest of his life. One of his favourite shops was Churchill’s. After the First War he became friends with Robert Churchill who had taken over the business from his uncle. At the age of fifteen he left Westminster and went to work with major engineering company Armstrong Whitworth, and then until 1908 he attended the Crystal Palace School of Practical Engineering. In that year his taste for travel and adventure encouraged him to join the Redmond-Hardwick exploration syndicate on an allegedly prospecting venture in Morocco. A photograph exists of a William Redman serving as a Lieutenant under Belton, so, knowing how commonly surnames were mis-spelt especially in newspapers and magazines, there has to be the likelihood that this was the same man and prospecting was only part of the adventure. Alfred Arkell Hardwick was a Frontiersman and adventurer in many lands. He was killed in an aeroplane accident in 1912 while working as General Manager for Handley Page. Morocco was in a state of revolution, which was so complicated it has never been fully described. The ruler was Abd El Aziz (various Europeanised spellings can be found). He was supported by the French. The British wished to keep away from it but did not want the Germans to gain a foothold. The most recorded Britisher was the “Kaid” or General Maclean whose name regularly appears in accounts of events. There has to be doubt that Maclean was quite the gallant figure he has since been made out to be. France was happy still to sponsor the new regime and the British who had assisted earned the reward of some prospecting concessions. Pollard asked Pocock for a silver Legion badge to present to the new ruler as an honorary member and thought the new ruler in return might have some useful rewards and jobs for Legion members. Needless to say, the Foreign Office was aghast when they heard of this. Things soon went wrong when Mulay Hafid failed to keep his promise not to exact violent revenge. Belton was disgusted to see public executions, crucifixions and the severing of hands of some of the enemies, being solemnly told that this was their tradition. He received much coverage of his Moroccan adventures in The Sketch. …the people in the next village , or over the next mountain, or in the next state, are inevitably evildoers, murderers, and bandits. After many more adventures, vividly described in the book, Pollard returned to London,where in May 1912 he was commissioned as a T.A. officer. He also began his journalistic career as assistant editor of The Cinema, editor of The Territorial Monthly and technical editor of The Autocycle as well as a correspondent for the Daily Express. Probably Hugh Pollard’s most notorious story was the one he, along with Alan Osler, invented of the “Phantom Russian Army”, that an army of Russians had travelled by train from the north of Scotland and was embarking to support the British Expeditionary Force. ⁸ It was Pollard’s own invention of the charwoman who “knew it was them Roosians” as she had swept the snow off their boots from the carriages. The story caught on so well that it even gained a leading feature in the New York Times. Pollard’s second propaganda invention was of the particularly horrible one about German “corpse factories” – that the Germans were melting down corpses to make margarine.⁹ Pollard’s inventiveness got him recruited into M.I.7 (b) working with another Frontiersman Captain A.J. Dawson and, for a brief spell, Roger Pocock. The first of Pollard’s many practical books on firearms The Book of the Pistol and Revolver was published in 1917. When Pollard guessed or was told something of the plan, he was more than pleased. He was now a fluent Spanish speaker, had involved himself in revolutions from his earliest exploits in Morocco and approved of Franco’s strong support for the Catholic Church. Pollard was anti-Fascist and definitely anti-Bolshevik, but the delights of an adventure would have been enough to make him enthusiastic to take part. He was accompanied by his daughter Diana and a young friend. Following an eventful journey the plane was delivered and Franco and his staff took their places on the plane, while Pollard and the two girls came home by sea. The tale of the adventure is, as with most of Pollard’s adventures, too long to be recounted on these pages. The story can be read, although not necessarily with full accuracy, in many works including those quoted and listed below. Well over thirty years ago, the main author of this Topic had correspondence with and telephone conversations with Pollard’s daughter Diana, who expanded the story and showed that her father has over the years often been unjustly treated by those who have written about these events. Pollard’s service as a Reserve officer ended officially in 1938, but in 1940 he wangled his way back into the army and began working in Intelligence again, this time for S.O.E.. His file in the National Archives at Kew again poses as many questions as it answers. We know he also went to Estoril in 1940 and was involved in smuggling about three hundred Vickers machine guns that the defeated Republicans in Spain had moved into France across to England. After D-Day he was sent with Patton’s forces into Thuringia in technical intelligence on small arms. One item in his file has excited those who considered Pollard to have Fascist tendencies, but it is a case of rushing to conclusions on false evidence. There is a letter in Pollard’s S.O.E. file from a Capt. Grassby of Tonbridge Wells (evidently an MI5 operative) to Mrs. Archer who had some senior office position in MI5. Grassby claimed that Pollard was an ardent fascist who flew Franco in from the Canaries. He also said that Pollard and his daughter Diana’s names were in a book which also included Mrs. Dacre Fox. Mrs. Archer wrote to Col. Vivian that Mrs Dacre Fox was an active and industrious member of the British Union of Fascists and was at present interned. Mrs Archer told her officer at Tunbridge Wells to “lay off” Pollard. She was obviously happy with him. She was satisfied that Pollard had helped Franco because Pollard was an ardent Catholic and wished to help the Church against the communists.¹⁷ There is a simple explanation as to why Pollard’s name appeared alongside Mrs Dacre Fox (a.k.a. Mrs. Dudley Elam or Mrs. Norah Elam) The Elams were members of the same local Conservative Association as Pollard until they resigned in 1934 to join the British Union of Fascists under Oswald Mosley. Dudley Elam had been a very active member of the Conservative Association. There is no way Pollard would have supported the Fascists or even been friendly with the Elams. Pollard would have hated the Fascists’ anti-semitism due to his friendship and his family relationship on his mother’s side with the orthodox Jewish banking family, the Montagus. In addition, Norah Elam was a long-term member of the Anti-Vivisection Society and fervent opponent of hunting, which was one of Pollard’s favourite country pursuits. How easily some modern writers come to false conclusions without proper investigations! After the war Pollard lived a quiet life enjoying his country pursuits, disgusted, like many country gentlemen Conservatives of his generation, that Britain had a Labour government. He moved to Clover Cottage in the sleepy town of Midhurst, where none of his neighbours had the slightest idea of the adventurous life he had lived. In 1966, one of the great Frontiersmen adventurers died peacefully. No doubt if he could have foreseen the future, he would have considered all those who have maligned his intentions to have been a ‘bunch of Bolsheviks’, but he would have chuckled at how today’s Frontiersmen have found it so difficult to piece together the tales of his adventures. He would have enjoyed being a “man of mystery”. ⁵ Charles Beadle, The City of Shadows (Everett 1911) p. 211. Pages 202 to 215 tell probably the best account of the final battle that it is likely to find although, as a novel, most of the names are changed. 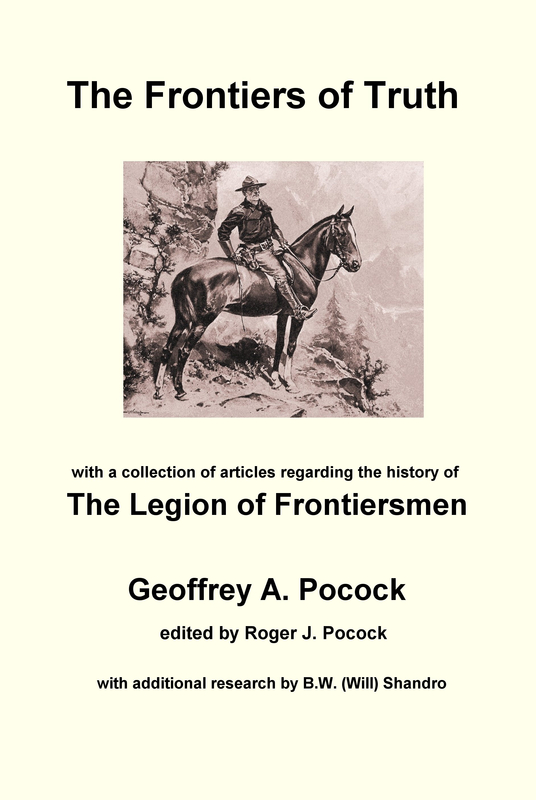 This entry was posted in Frontiersmen, History, Latest Topic, Legion of Frontiersmen, Roger Pocock, World War II and tagged Hugh Pollard, Morocco. Bookmark the permalink. John Brewer wrote the memoir of Hugh Pollard with the aid of forty pounds in weight of Pollards personal papers, which he had access to. Does anybody know if these papers are in an archive somewhere? I will ask the author and get back to you – Admin. I wish I knew. I have been enquiring for nearly 35 years. I met and interviewed his daughter, the late Mrs Diana Smythies, and corresponded with his son, the late Jack Pollard, and they did not seem to know where they were. There is another article on Pollard from 2006 in that august Cambridge University Press publication “The Historical Journal”, but it is so full of errors that it is embarrassing. A journalist has been researching propaganda stories of the First War and he does not believe that Pollard was responsible for the “Phantom Russian Army” story. Was he, or wasn’t he the originator? I can only refer you back to Pollard’s closest friend Macdonald Hastings’ remarks quoted in “Tasting Adventure and Revolution”. If you have not found the Pollard papers in 35 years I think I will call it day as far as searching for them goes! In reference 1 above Macdonald Hastings H&A files September 82. What are these files exactly. Sorry if I am missing something very obvious. For the past eighteen years a small official team of volunteer spare-time historians around the world has been archiving what had been to some extent ignored for 95 years. Original documents and photographs are slowly being lodged at our Legion of Frontiersmen archives at the Bruce Peel Special Collections, University of Alberta. The eventual plan is to make digital copies available to researchers, but at a time when universities are strapped for cash, the LofF archives are understandably well down the queue. Macdonald Hastings wrote that letter in 1982 in response to an enquiry from the first member of the History and Archives team very shortly before he died. As an encouragement, 80- and 90-year-old documents still occasionally come to light. I recently became aware that some papers related to Pollards ballistics work are located at the Imperial War Museum. I presume you are aware of these. See link below. I have found a repository of what appear to be correspondence by Pollard.They are in a reference library in the UK They are hand written letters are are really slow going in terms of trying to read – or should I say – decipher them. I would prefer not to state the location here but if you would care to contact me of line I will pass the details on. Thanks, I will pass your message on to the author. Admin. Hi Alan. I now have the following reply for you. Admin. If not we would be interested to learn more. We will pass on anything we discover. Pollard would have been delighted to know how much interest in his life there has been in recent years and how many differing tales about him have surfaced. When I first wrote about him in a local newspaper in 1983 he had been forgotten. He loved being a “Man of Mystery” and it is likely that he would have ensured that the whole truth would never be discovered. Even his children knew little about his life. Of course his long-term mistress may have! The article in the link above is interesting but I was not referring to it in my previous post. The papers are in a reference library that requires an appointment to read. Drop me an email and I can respond in greater detail. Thanks Alan, I will pass that through. Admin. I have been re-reading “The Other Mr Churchill”, by Hastings which of course has references to Hugh Pollard.It would appear that Mr Hastings had access to Bob Churchill’s papers after his death. Does anyone know if these papers still exist and are they accessible? I am interested in Bob Churchill’s work in the Second World War and wonder if his papers would have further information concerning Hugh Pollard. An internet search has come up blank. Probably the best person to contact would be his son Sir Max Hastings who wrote a charming biography of his father. Sir Max is a noted military historian and might possibly even be looking into this himself.